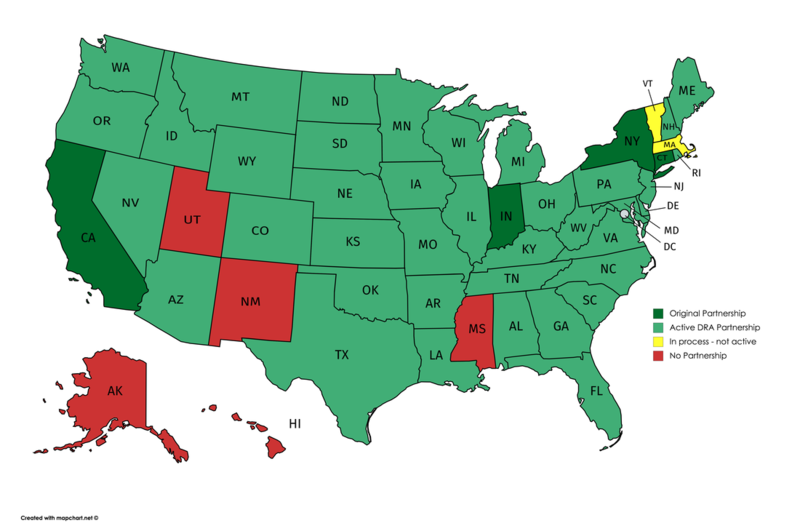 Forty-three states now have Long-Term Care Partnership programs in place. If you buy a Partnership-qualified LTC insurance policy and have a worst-case scenario where you use up all your benefits but still need care, you get guaranteed asset protection from your state's Medicaid spend-down requirements. The amount of Medicaid Partnership asset protection equals the total amount of benefits paid by your Partnership-qualified LTC insurance policy. ​Make sure your agent is "Partnership Certified". Click here to learn more. All but one active Partnership state provide reciprocal Partnership asset protection if you move from one state to another - see the second map below.